Soon, students and locals will be able to watch a two-time Tony Award-winning performer on campus. 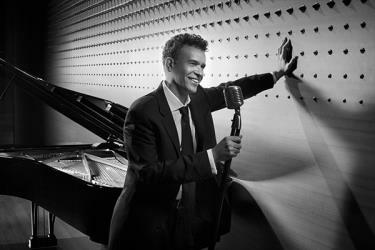 Brian Stokes Mitchell will be joining the BYU-Idaho Symphony Orchestra and combined choirs for the 8th annual BYU-I Christmas show. According to brianstokes.com, Stokes is a two-time Tony Award winner and has a career that includes Broadway, television, film and concert appearances. “Stokes has performed at venues spanning jazz, opera, pops, country, and musical theater worlds. He has worked with John Williams, Marvin Hamlisch, Gustavo Dudamel, Keith Lockhart, Michael Tilson Thomas, The Smithsonian Jazz Masterworks Big Band, The Mormon Tabernacle Choir and the Muppets. Stokes has made multiple appearances at Carnegie Hall,” according to brianstokes.com. “Stokes has delved deeply into various music disciplines. In addition to singing, he began piano studies at the age of 6. A self-professed autodidact, his musical curiosity lead him to teach himself composing, arranging and orchestration, starting in his teens. He later studied, Film scoring, orchestration, and conducting both privately and through UCLA,” according to brianstokes.com. Stokes has an album called Simply Broadway where he sings multiple Broadway songs. Some of these songs include “If I were a Rich Man” from Fiddler on the Roof, “Stars” from Les Miserables and “Soliloquy” from Carousel. The Christmas show will be Dec.1 from 7:30 to 9 p.m. at the BYU-Idaho Center. Tickets are $6 for BYU-I students and $12 for the general public.